The healthcare industry changed quickly as technology came into play for collecting and sharing data. Health organizations switched from paper documents to electronic ones and spent huge sums on implementing data management systems with the goals of having easier access to the data and using it to make data decisions that would improve health services and lower costs. While these were the goals, the progress stopped after these systems were implemented. So what happened? They needed more understanding, something that came along with the Healthcare Analytics Adoption Model. Other industries, such as e-commerce, have made great strides with “big data,” using the data to move forward with new business methods that adapt to changing times. Big data has helped businesses in other industries benefit their businesses and their customers or clients at the same time. But the healthcare industry is behind in this area, and the industry hasn’t seen the results it was hoping for from the switch to electronic data. The reason is that there is currently a missing link in the process. The block comes in during the analytics stage. Organizations have made a lot of progress in collecting information and sharing it. Now, they need to take that extra step to effectively analyzing the data they have and turning it into positive changes that benefit the organization, its patients and the capabilities of healthcare as a whole. Unfortunately, this next step forward has been a difficult one. Data is often unorganized between different departments of the organization, wasting the time and talents of analysts. Other pitfalls have to do with a lack of effective management of the project, difficulty focusing on the right data and having too narrow a focus within an organization, among other problems, according to The Health Affairs blog. Just because the industry has been slower than others to move forward with big data doesn’t mean that it can’t. One of the strategies needed to properly utilize the data the industry now has access to the use of a successful framework. An established and recognized framework has been set up with the Healthcare Analytics Adoption Model, which offers a way for organizations to properly implement analytics in a way that will work in the long run. The Healthcare Analytics Adoption Model was created by a group of people who were previously from different facets of the healthcare industry. 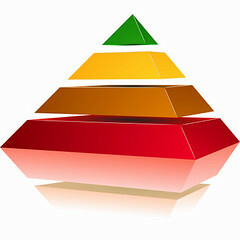 It gives organizations a guide to follow a standard and a way to track their own progression. It includes eight tiers that show organizations where they are and help them make changes to move up along the tiers. Organizations can find themselves at level zero with fragmented point solutions, limited analytics, and data that overlaps and creates varied findings. At the other end of the spectrum at level eight, an organization uses analytics to improve health, wellness, personalized care, patient outcomes and more. Also, the data is current and updated to keep it correct and relevant. The Healthcare Analytics Adoption Model focuses on not only making changes in technology within an organization but also creating change within the organization’s culture and way of doing work. Going through the levels of the model brings an organization to the point where it has fully adopted analytics and uses it well to change the course of its business. Organizations move slowly through the stages of this model to achieve steady progress that creates lasting change, with it taking around two years to reach the seventh level. Once an organization uses this model to fully adopt analytics, it can expect to have a health delivery system that runs off data. This system will be able to customize care to each patient, while providing care in an efficient manner that costs less and is accessible to everyone. Authoritarian: The data governance has a centralized EDW, and it uses a monolithic, early-bind data model. The EDW is nearly locked down using a bureaucratic process that can easily become time-consuming when approvals are needed. Democratic: Within a democratic data governance system, your EDW is centralized, and the architecture is late-binding. The democratic data governance is a balanced alternative to both the authoritarian and tribal approaches. Tribal: A tribal data governance is the complete opposite of an authoritarian system. With a tribal system, there is no structure due to the lack of an EDW. Analytics are not in one place, making your analysts jobs harder and less productive.